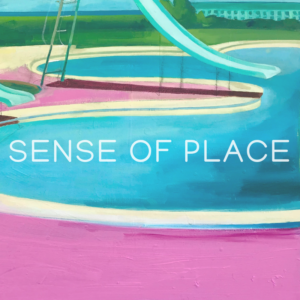 Sense of Place is an Exhibition of two artists whose work explores landscape, architecture, & nature and the attachment to these subjects. Through Photography and Painting, the body of work showcases the lines, shapes, colors, and simplicity of places. With these places highlighted, the subject can become important and trigger a sense of nostalgia, or remain anonymous.